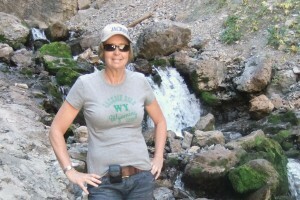 Janice Beatty has been offering some of the biggest names in wildlife filming support for two decades. Janice has been working in the film business for more than 20 years. Janice first started working on films in 1992 when she was employed by Partridge Films Ltd (UK) in Tanzania as a Production Manager for Hugo Van Lawick. In subsequent years Hugo stayed in Tanzania but working for Nature Conservation Films (NL) where Janice then continued to work. Whilst with Nature Conservation Films Hugo made two 35mm big screen cinematic release films, The Leopard Son and Serengeti Symphony. In the late nineties Hugo retired from filming and Janice decided to carry on the filming work with her own company, African Environments. In the 20 plus years that Janice has been assisting film crews she has seen it all – the move from 16mm film to 35mm film and then to digital with many changes in technology and equipment but the films have continued to be very varied and cover lots of different genres. 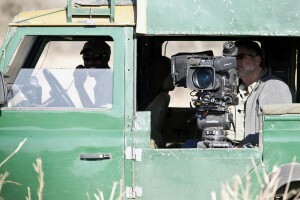 Janice, through African Environments offers a versatile and flexible service for wildlife film crews as well as catering for news and documentary teams. Janice is experienced with a wide range of formats from video to IMAX. She can be your “in town” liaison or she can be “on site” to ensure your shoot goes flawlessly.